Pioneers in the industry, we offer forming process equipment and profile forming process equipment from India. 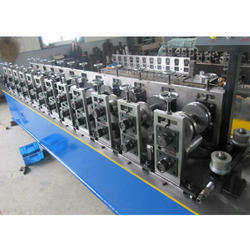 We are offering a wide and comprehensive range of Forming Process Equipment. These fabricated strainers offered by us are ideally used for fine & coarse particles from fluid. This range is applicable in different areas such as chemical, pharmaceuticals, fertilizers, petrochemicals, process houses, power, houses, dyes & intermediates & other process industries. Looking for Forming Process Equipments ?